If you want to do a run that will take your breath away, this is it. 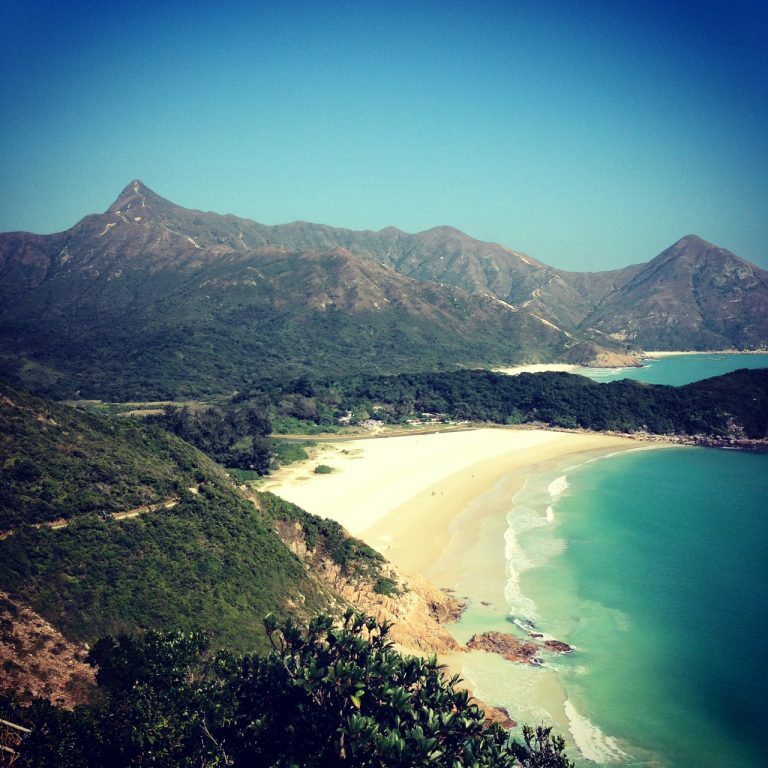 This run goes past arguably the best beaches in Hong Kong. If you’re training hard, and fit enough, this route is worth it. A huge run for those wanting to have an epicly beautiful day out. Starting at Pak Tam Chung, going past High Island reservoir, over to Sai Wan and Ham Tin Beach, then A quick peak at Tai Long Wan Beach, and back into the hills for the return journey. Past Hoi Ha and it’s clear waters, then a couple of big peaks and down to the finish. No water available until Ham Hin Beach so bring all you need till then (20.4km). Ham Tin Beach has a great restraunt, stop there for some nice cool drinks and have lunch to break up the day. Finish in Kei Ling Ha, toilet and drink machine available, you can get a cab down to the main road or walk down. At the start a small shop is open at Pak Tam Chung but it doesn’t open too early. Best to get supplies in Sai Kung. Most of the route is quite exposed, so bring sunscream if sunny. *NOTE* Make sure you are fit enough to do this distance before attempting it. Alt Route: If you want to stop and finish early you can finish at Wong Shek Pier (Ko Tong Hau) which is about 28.7km in. Toilets available here, busses take you to Pak Tam Chung. Take the MTR to Choi Hung, go to exit C2, just outside get the A1 mini bus to Sai Kung town. Swap to the 94 double decker bus and get off at Pak Tam Chung. When done, you can get a taxi back to Sai Kung town, or walk down the hill a few km and get the bus into Sai Kung, then the A1 mini bus back to Choi Hung MTR.